E.O. Wilson, pictured here in the Red Hills of Alabama in 2010, will be honored with the World Ecology Award this Friday in St. Louis. 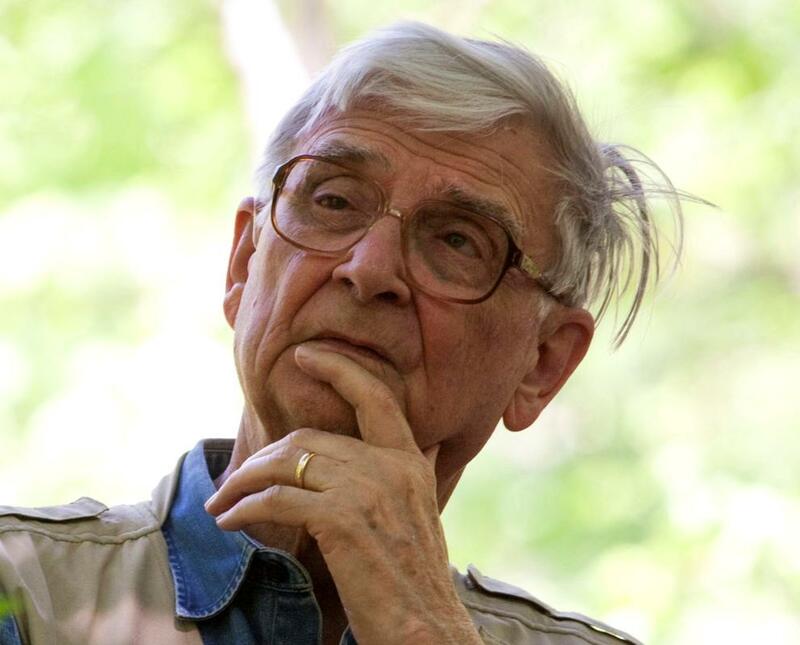 Edward O. Wilson’s long career has been marked by enormous contributions to the field of biology, with an impact on global conservation efforts that is difficult to overstate. All of it grew out of his close attention years ago to something relatively small: the behavior of ants. Wilson recalled one of his earliest interactions with the insects, a memory from his boyhood in northern Alabama, on Tuesday’s St. Louis on the Air in conversation with host Don Marsh. “In our backyard I saw this stream of ants,” said the now 88-year-old Harvard scholar, who is headed to the St. Louis Zoo this week to receive an award from the Whitney R. Harris World Ecology Center at the University of Missouri-St. Louis. “It turns out that there were tens of thousands of them in a single colony, marching five to ten across in perfect formation – or near perfect formation for an insect – across the yard, all in one direction. With about 15,000 species of ants in existence on the planet, the creatures would soon capture Wilson’s interest for a lifetime. And they make up just a fraction of the roughly 10 million species, as Wilson estimated during the show, that currently call Earth home. An only child who grew up in “the wilds of Alabama,” Wilson said, he developed an affection for nature at an early age, collecting butterflies and reading “every issue of National Geographic” that he could get his hands on. He dreamt of “someday going on great trips into the jungles” and discovering new kinds of animals. By the time he headed to college at the University of Alabama, he had decided on ants as his research focus. Wilson first joined Harvard’s faculty in 1956 and introduced the concept of sociobiology, the systematic study of the biological basis of social behavior in all kinds of organisms, nearly five decades ago. In 1995 he was named among the 25 most influential Americans by TIME. The World Ecology Award that the Harris Center will bestow on Wilson this Friday, April 20, recognizes individuals who have raised public awareness of global ecological issues and made significant contributions to environmental protection and biodiversity conservation. Previous recipients of the award include marine biologist Sylvia Earle (2016), Albert II, Prince of Monaco (2013), Harrison Ford (2002), Jane Goodall (1999) and John Denver (1990), among others.